Story by Kamari Wright. Photo courtesy of NPR. APRIL 25, 2018: On Tuesday, April 17, 2018, former first lady Barbara Bush died at the age of 92 years old of chronic obstructive pulmonary disease. She was the wife of George H. W. Bush, the 41st President of the United States, and served as the First Lady of the United States. 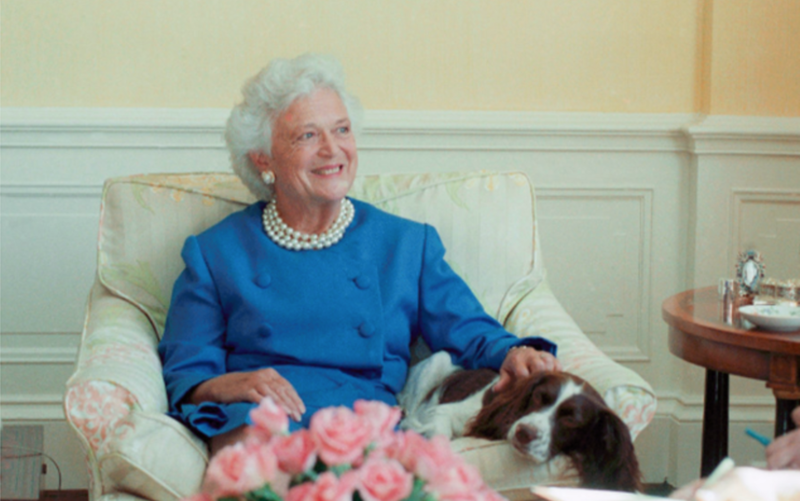 Mrs. Bush was known for her political style which epitomized being a thoughtful, polite, and moderate individual. Although she was a Republican and supported her husband as President, many Democrats are sad to hear that she has passed away. She passed away surrounded by loved ones. One of my favorite quotes by Mrs. Bush is “Some people give time, some money, some their skills and connections, some literally give their life's blood. But everyone has something to give.” This quote is not only true but meaningful to everyone as well. Barbara Bush was a great lady and she will indeed be missed. Kamarie Wright is a 4th grade scholar at Friendship Woodridge Public Charter School.